Shane Carlisle and Leah Kessel think so. They’ve been the best of friends for years—and quite content being just that; it’s their friends who don’t believe it. None of them can understand how two gorgeous, non-committed adults have never thought about crossing that line. Until a night of celebration, too much tequila and new found curiosity makes it impossible for Shane and Leah not to think about it. So together, they cross it—promising themselves and each other that nothing will change and that yes, a man and woman can STILL remain just friends. That is, until everything around them begins to spiral out of control. Plans they had once formed, vanish. Promises they once made, are broken. And their once easy and effortless friendship turns into… the complete opposite. Coming face to face with the consequences of their actions, Shane and Leah are once again challenged by the same question. Not when everything unexpected is thrown their way. The first third of the book was slow going for me, but once the major plot point was revealed the book got better for me. The story is about two friends who, after a night of drinking, take their friendship to the next level and are filled with regrets that they cannot go back in time. During the course of the book, they realize that going back is not an option, but the relationship that develops is even better than the great friendship that they once had. I would be interested in reading other stories from this author. Caroline Nolan writes stories about love and all the beauty and ugliness that comes along with it. She lives in Toronto with her husband and their fur baby. She is currently working on her second novel. 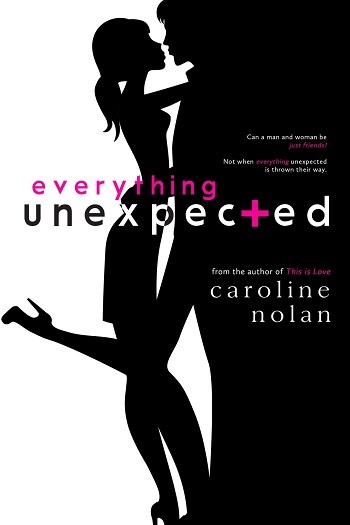 Reviewers on the Wicked Reads Review Team were provided a free copy of Everything Unexpected by Caroline Nolan to read and review.